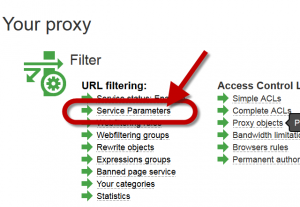 Webfiltering redirection behavior defines how blocked websites are redirected to the error page. 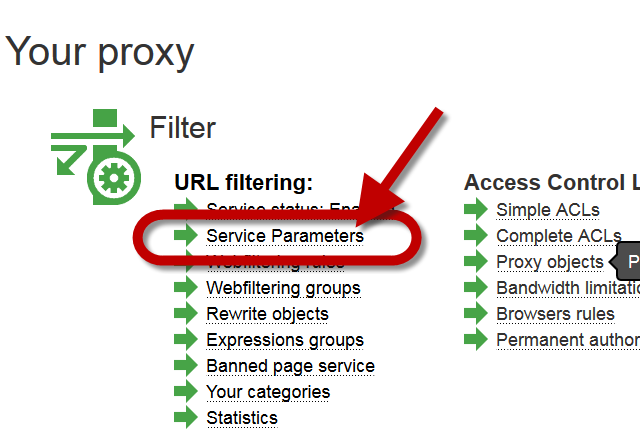 Choose Service parameters under the URL filtering section. 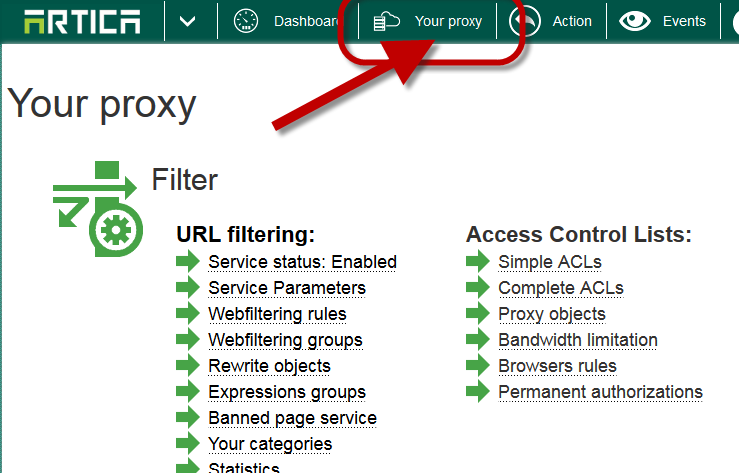 By default the Webfiltering is set on “Redirect Connection” method (send redirect method to the error page service). 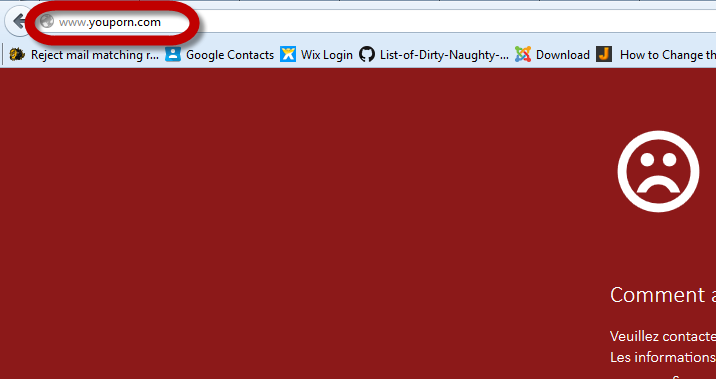 This behavior make the URL change on browsers. Blocked SSL websites encounter a browser ERROR because the redirect method in SSL is not supported by Browsers. Moved Permanently: Browsers save redirection into cache and will be redirected to the error page without need to be connected to the proxy. Moved temporarily: Browser execute redirection but will not save into their caches the redirect URL. 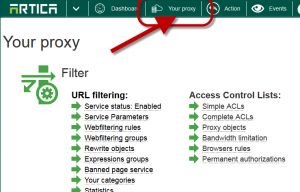 Rewrite URL is different, when connecting to the proxy, the proxy will fetch the redirected page itself and display the content in the connection. Browsers will be not redirected and display the content page sent by the proxy. 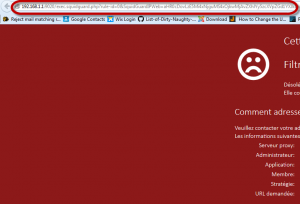 Blocked SSL websites display a certificate error because the content of the ERROR page is sent with a certificate different from the requested website. 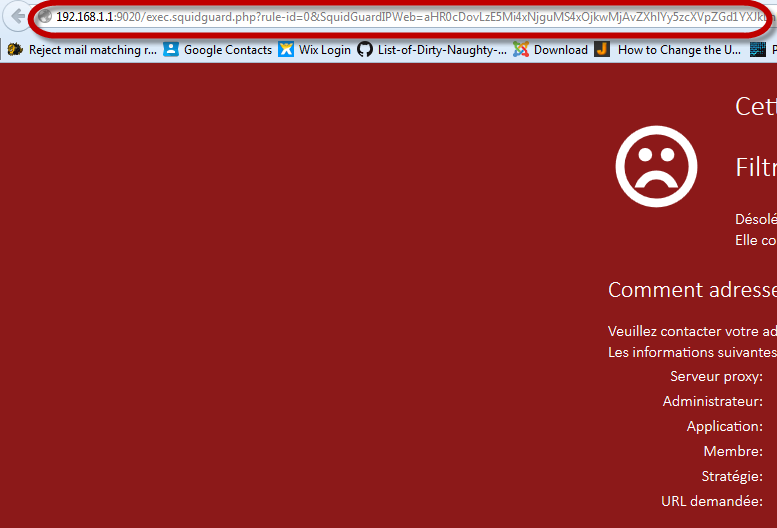 After accepting the certificate, browsers display the error page.